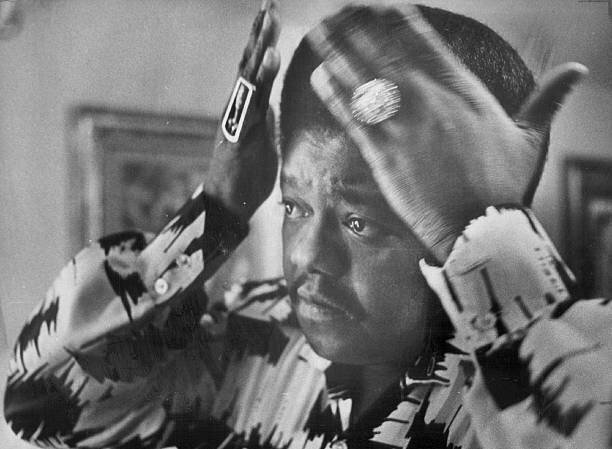 The Jefferson Parish coroner’s office has confirmed Antoine “Fats” Domino Jr. died October 24, 2017 at his home in Harvey, Louisiana at age 89 (click to read the full AP report). Born February 26, 1928, Domino was among the most popular and influential musicians of his generation. An official statement from his children has been posted on his website. 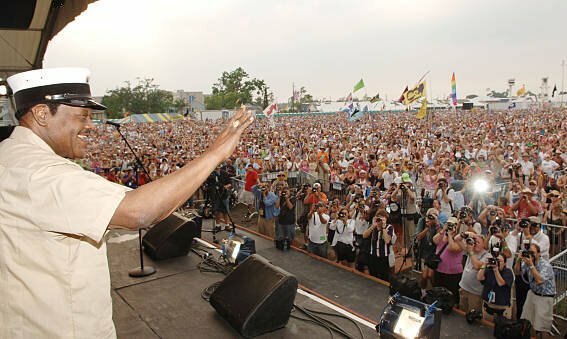 Many other musicians – from ’50s legends Jerry Lee Lewis and Duane Eddy to The Beatles and Brian Wilson, jazz greats Dave Holland and Christian McBride, fellow New Orleans icons Dr. John and Aaron Neville and pop stars Coldplay – have posted remembrances on social media, collected at the bottom of this post. “He didn’t perform tricks at the keyboard and he didn’t rush the tempo, so he didn’t command attention. He embodied ease, a quality that contradicts the conventional notions of what is rock n’ roll. 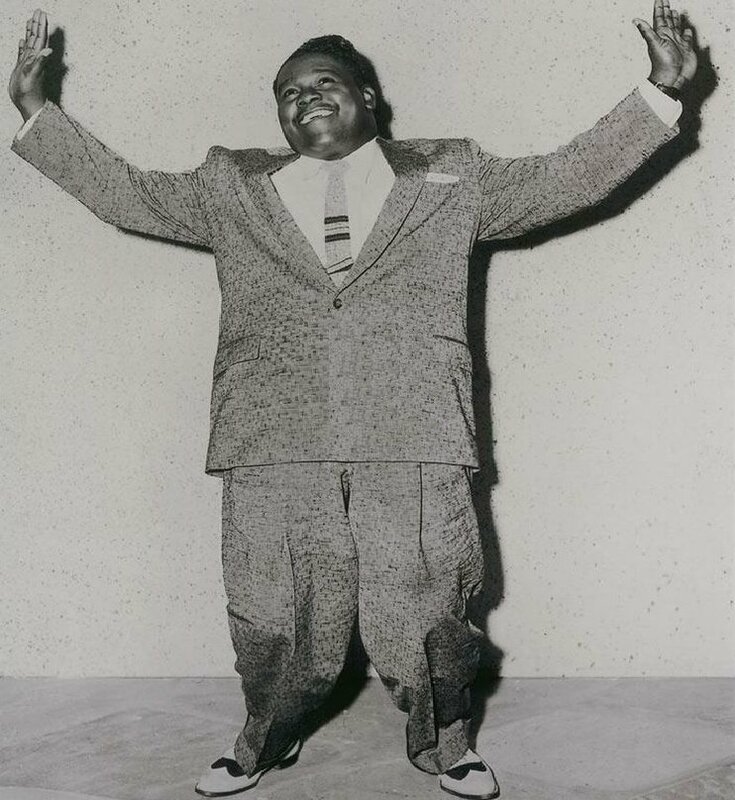 Fats’ impact on music, especially in the 1950s, and his legacy ever since, is vast. – Between 1950 and 1963, Fats appeared on Billboard’s pop chart 63 times and its R&B chart 59 times.
. . . and more than 65 million records overall. – At various points in the 1950s he was as popular as Elvis Presley and over the course of the decade sold more records than any musician besides Presley. 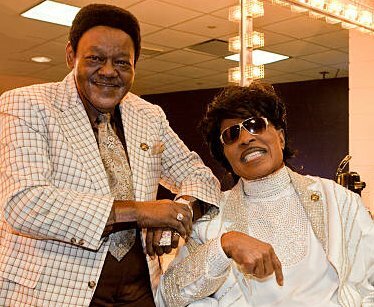 – His influence on other 1950’s rockers, particularly Little Richard, is immeasurable. – Four of Fats’ songs are in the Grammy Hall of Fame for their significance in music history: “Blueberry Hill” (entered in 1987), “Ain’t It A Shame” (in 2002), “Walking to New Orleans (2011), and “The Fat Man” (2016). – 1949’s ‘The Fat Man’ sold over 65 million copies, making Billboard’s pop chart 63 times between 1950 and 1963, and is often referred to as the “first rock n’ roll record” (needless to say a contentious title, but at the very least one of the most cited contenders in this much debated topic). 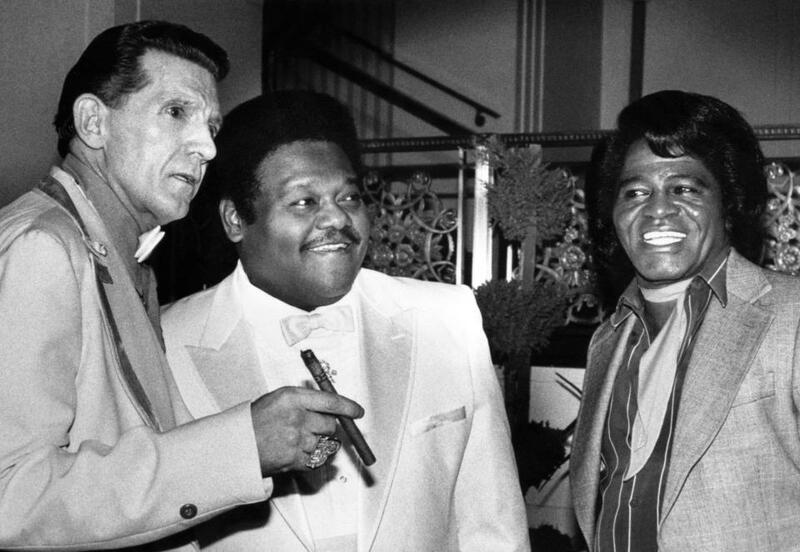 – Fats was presented with a Grammy Lifetime Achievement Award in 1987. – In addition to inspiring countless American and British rock and R&B musicians, Domino’s immense popularity in Jamaica influenced ska and reggae pioneers. 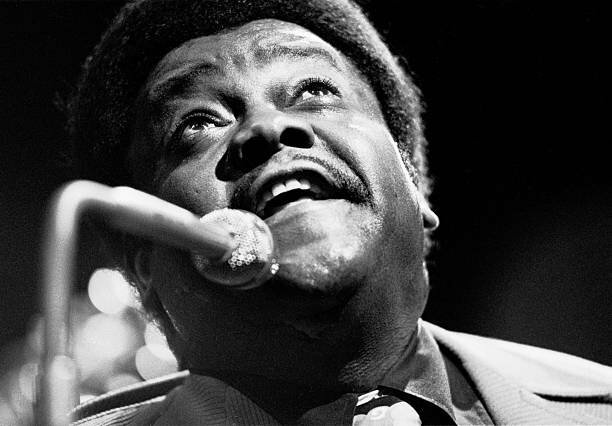 Fats Domino – an inspiration to the band and a music legend. "That innocence is there in his music … people respond to that goodness." – Dr. John on Fats Domino. The passing of a legend. 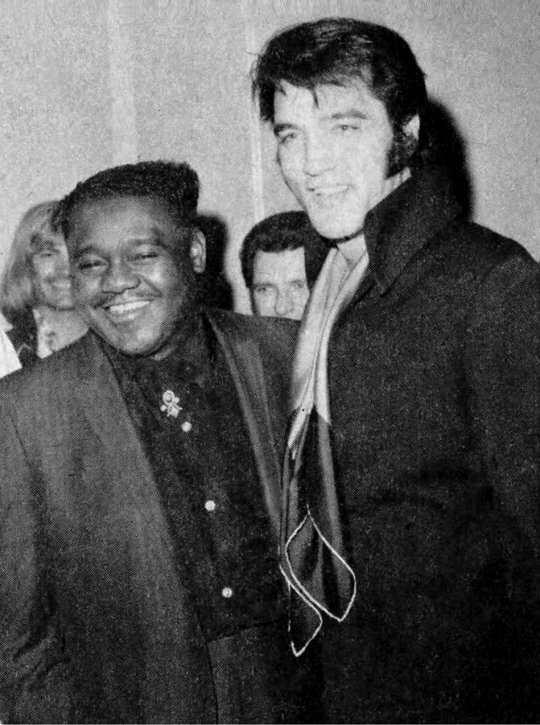 First heard Fats Domino's music when I was 9 years old & his recordings influenced so many young British musicians. 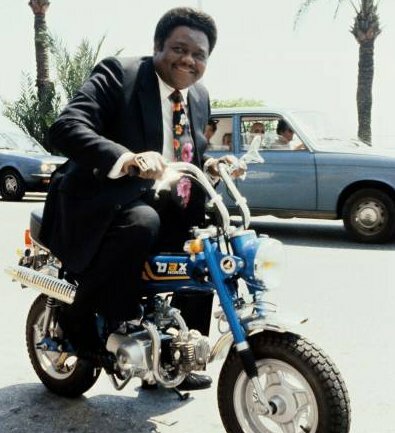 Fats Domino. I knew the World was spinning right as longs as Fats was still in it. God bless The Fat Man. 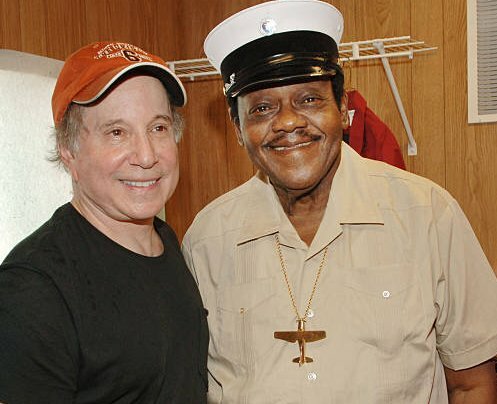 R.I.P Fats Domino. What a true legend. Previous What Music Stood Out In September 2017?